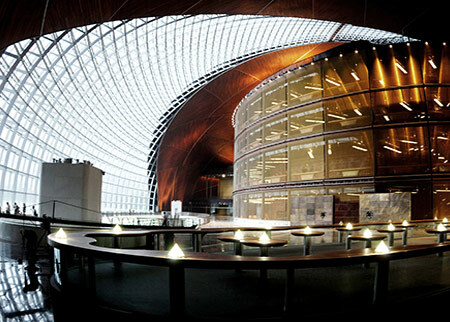 National Centre for the Performing Arts is an important national iconic cultural infrastructure. 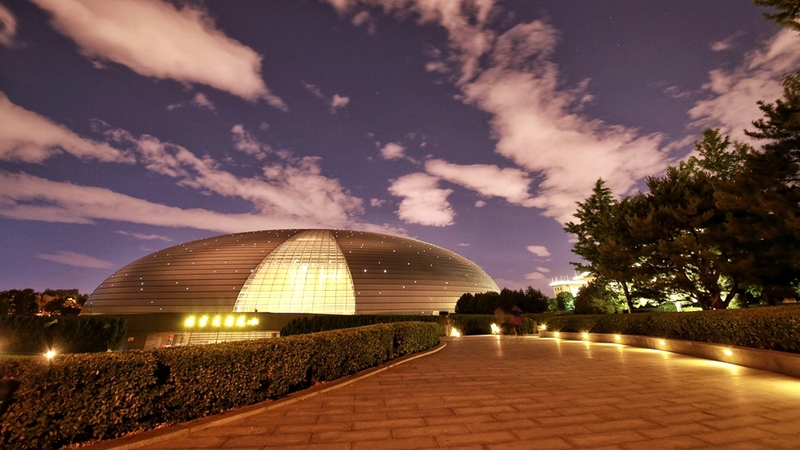 It is one of the “New 16 Scenic Spots” in Beijing. 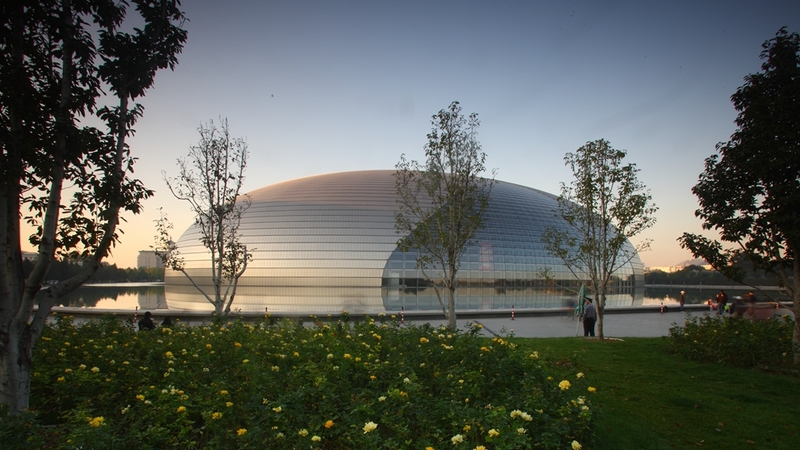 The central structure of NCPA is the steel and glass ellipsoid dome with a parameter of more than 600 metres. 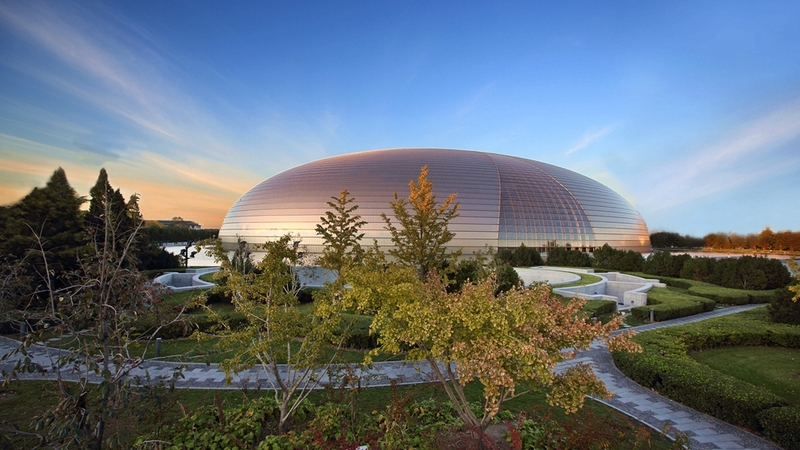 The construction measures 212.3m across its longest axis (east-west), 143.64m across its shortest axis (north-south), 46.68m high and 32.50m at the deepest underground. 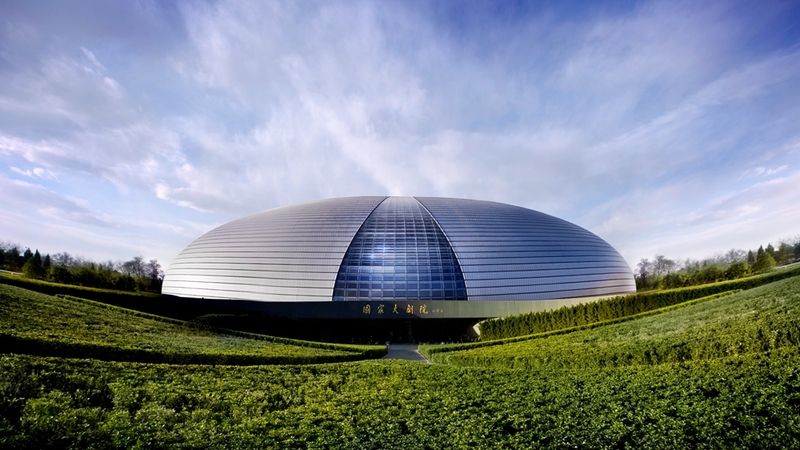 The dome looks immaculate and magnificent, with its surface covered by 18,398 titanium plates and 1,226 pieces of ultra-transparent glass. 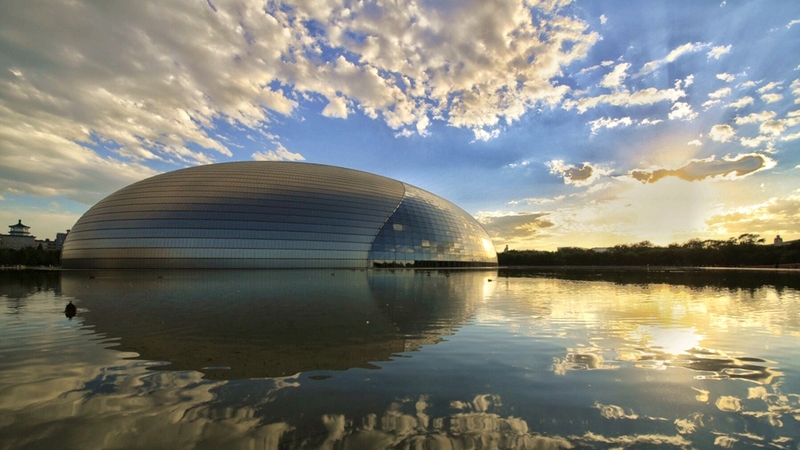 The egg-shaped shell appears to float in a 355,000 m2 man-made lake full of gleaming water. 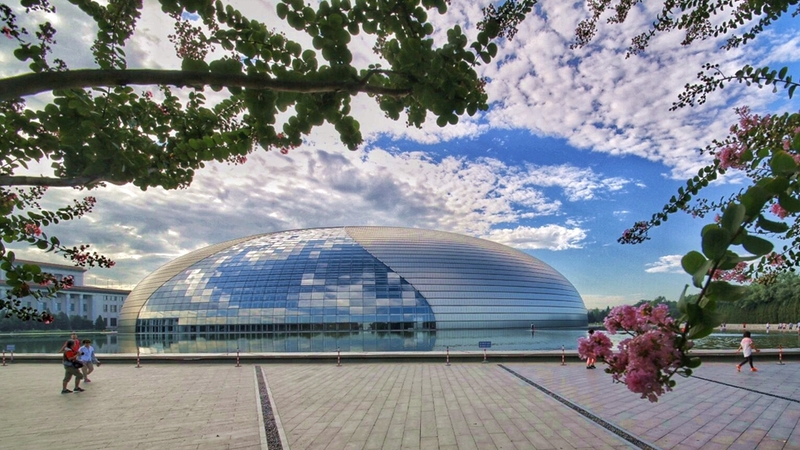 Surrounding the lake is a 190,000 m2 green belt of trees, which blocks the hustle and bustle noise from Chang’an Avenue, making NCPA a spacious relaxation and leisure complex in the heart of the city. 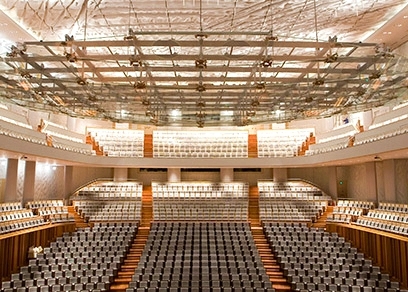 The Opera House is the grandest venue in the NCPA. 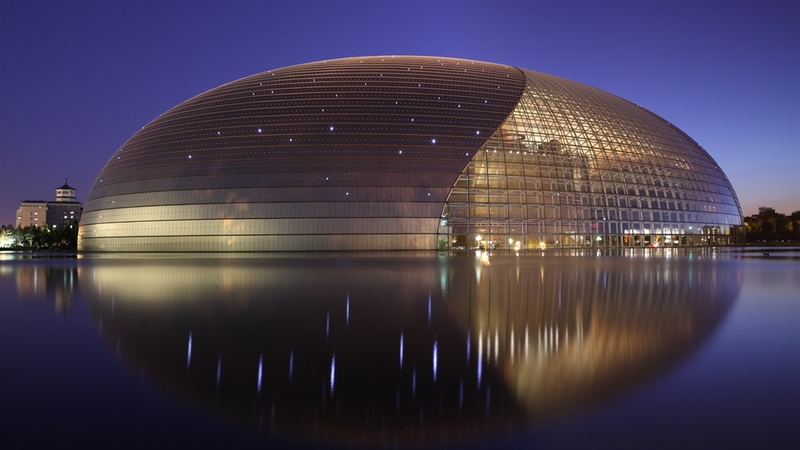 Its main tone is golden color, which looks glamorous and splendid. 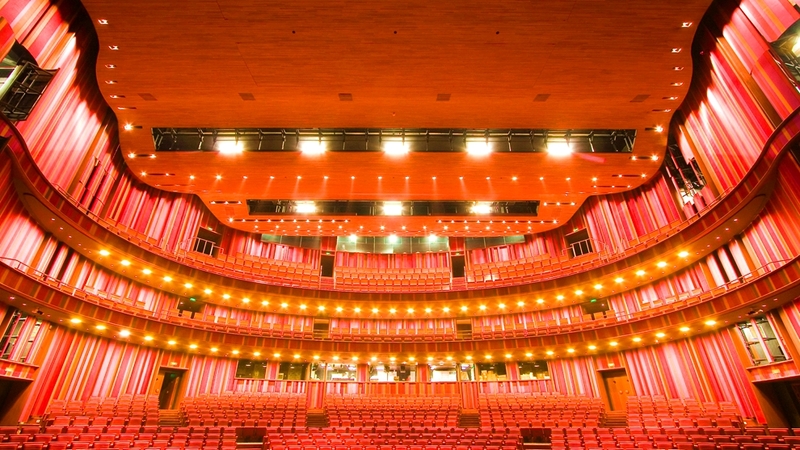 The House stages operas, dance dramas, ballets and other performances. 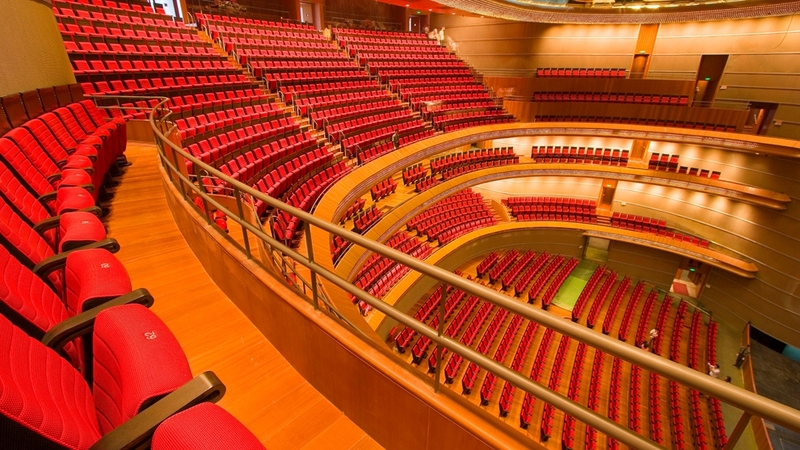 In the auditorium are the stalls and three higher levels of balconies, which can seat an audience of 2,081. 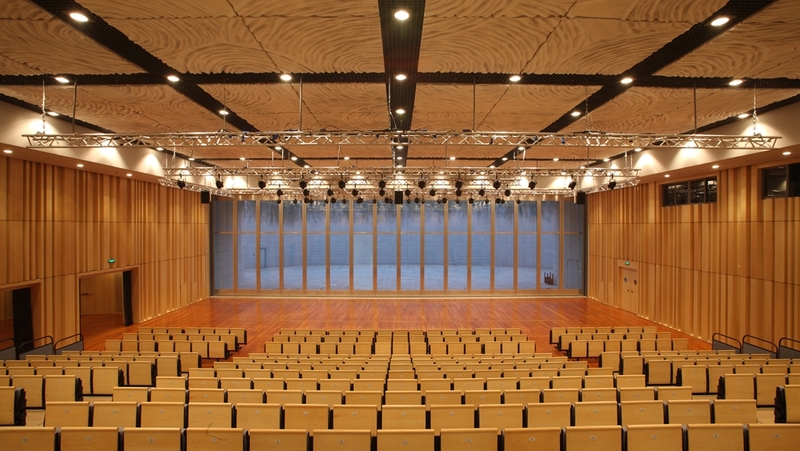 It is equipped with a modern stage that can be moved up/down/backward/forward or rotated, a ballet stage that can slant, and a rising orchestra pit that can hold a 90-musician orchestra. 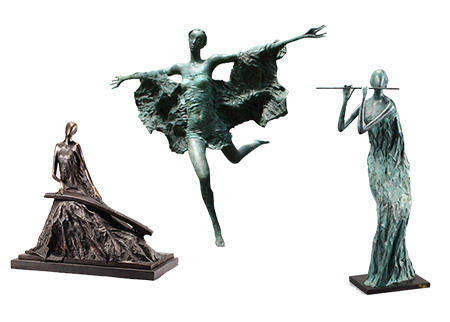 All the cutting-edge staging mechanism provides artists with enormous possibilities of creative performance. 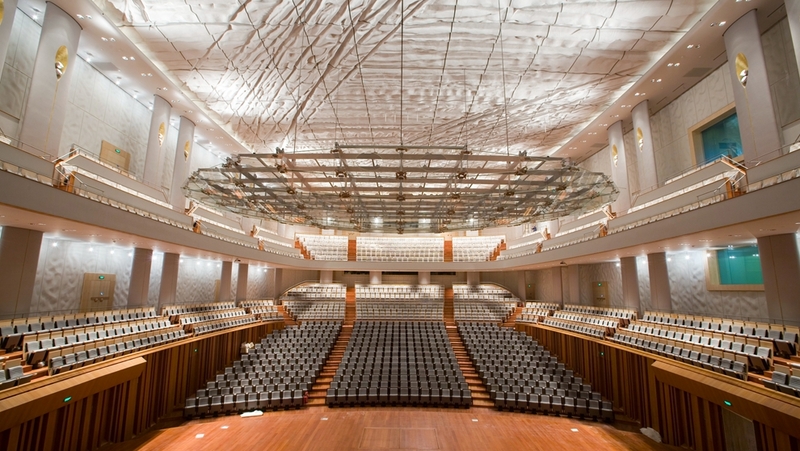 The Concert Hall in the NCPA boasts a distinct air of exceeding serenity and elegance. 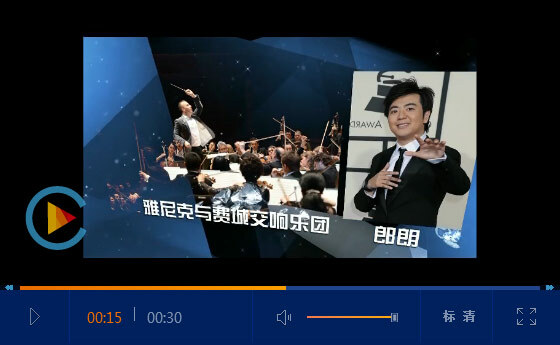 It features mainly large-scale symphonies and national music performances supplemented by occasional staging of musicals in other forms. 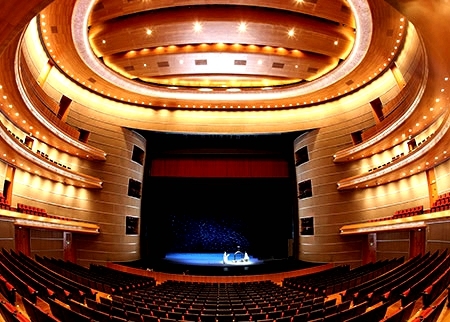 The stage is surrounded by 1,859 audience seats in the stalls and two levels of balconies. 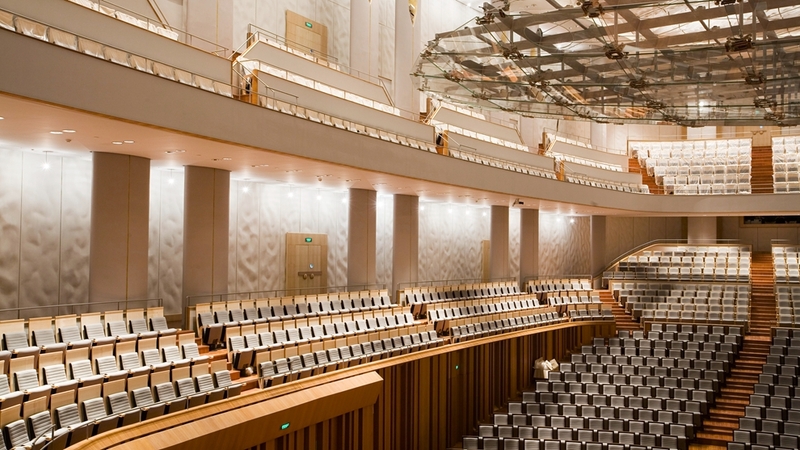 The Concert Hall has the pride in housing its absolutely unique treasure – the biggest pipe organ in the country. 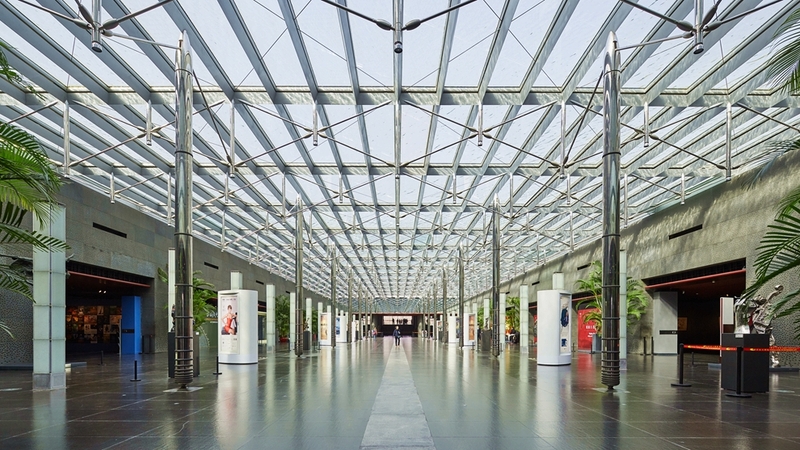 The interior structure and its decoration are so designed as to create the best acoustic effect, thus achieving a perfect harmony of architectural beauty and up-to-date acoustic technology. 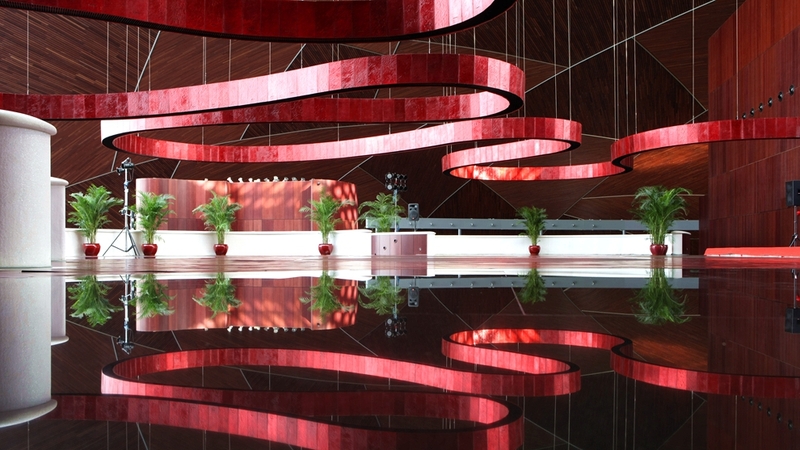 The Theatre is the venue most distinctive of China’s national style, characterized by its Chinese-Red color tone. 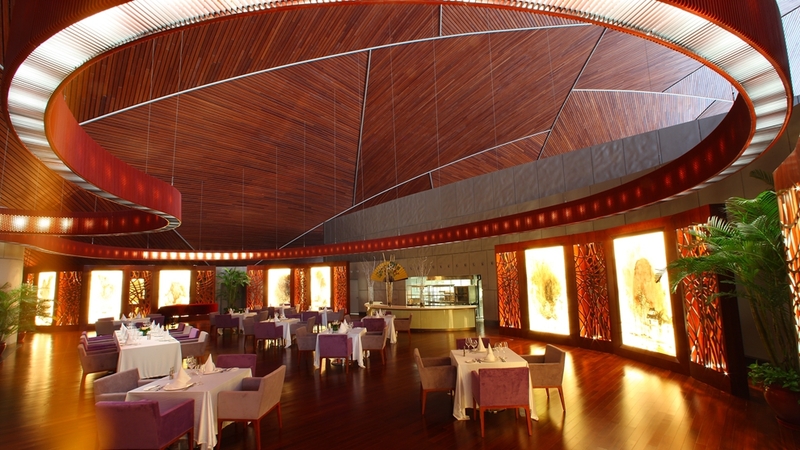 The surrounding walls decorated with silk embroidered coverings emit an air of traditional ardent atmosphere. 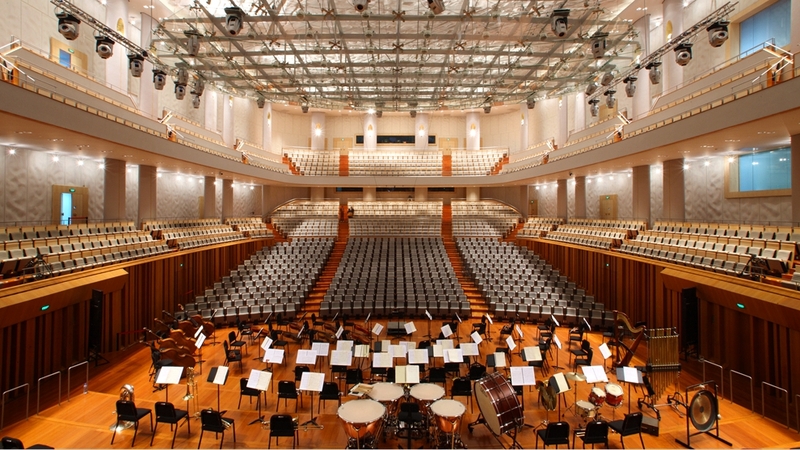 The audience area has 957 seats – the stalls and three levels of balconies. 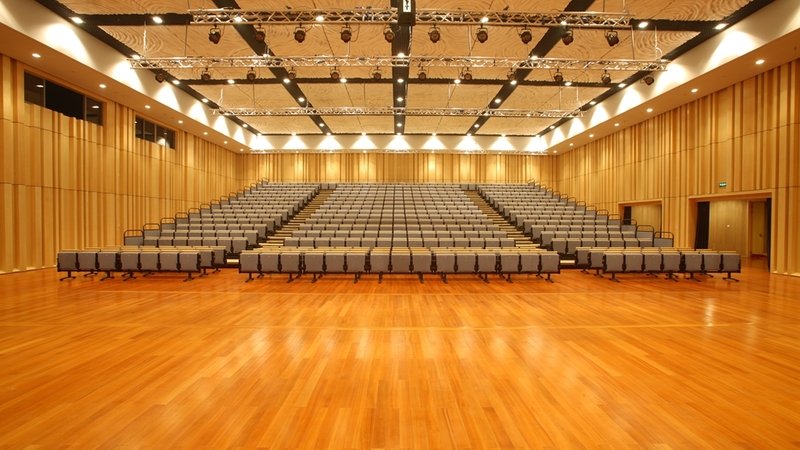 The stage is equipped with hi-tech, theatrical stage and audio visual equipments, which are capable of transforming creative thought into performing reality. 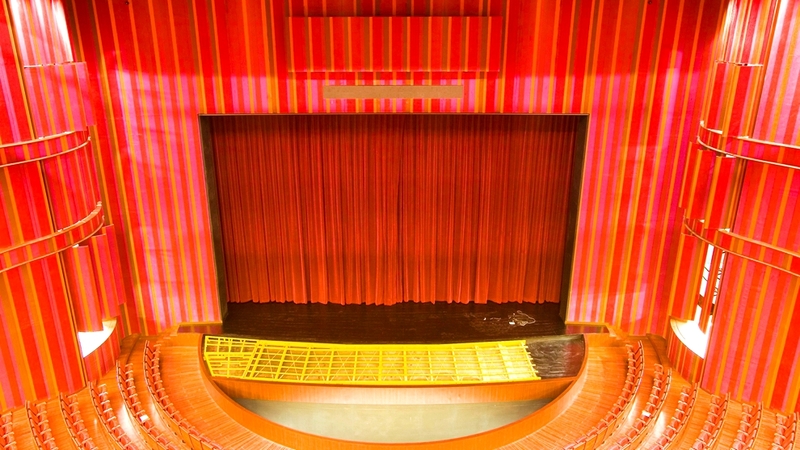 Its unique protruding apron stage is most suitable for Chinese traditional theatrical performance. 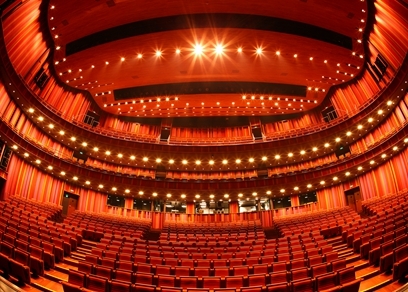 The Multi-functional Theatre is the most flexible venue to host various types of performance. 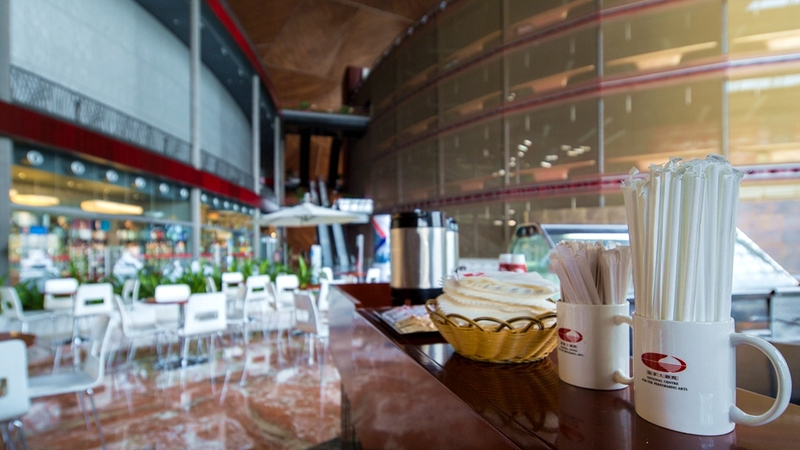 The entire atmosphere inside is tranquility and elegance. 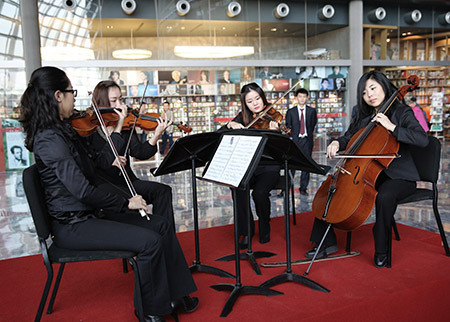 Its fresh yet elegant style suits chamber music, instrumental solo and vocal solo, drama and modern dance. 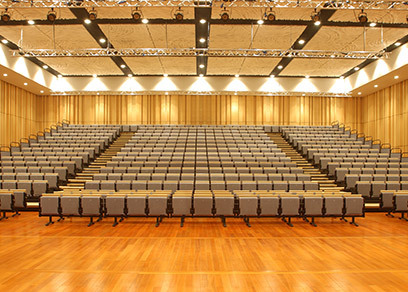 The auditorium has 19 rows of seats, totaling 498 (removable seats included). 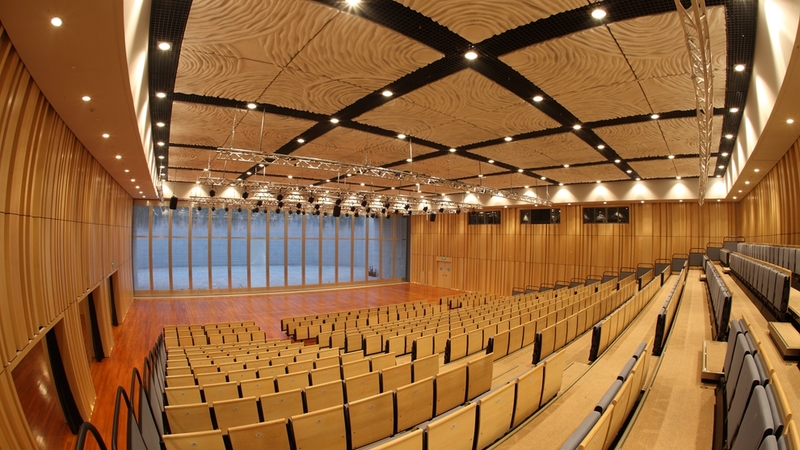 The Multi-functional Theatre was completed in September, 2009, officially put in use in October, 2009. 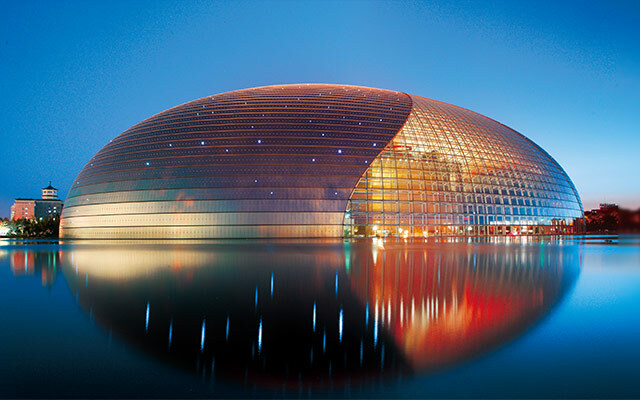 Its completion not only extended the functional capability of NCPA, but also added one more place to the number of small theatres in Beijing. 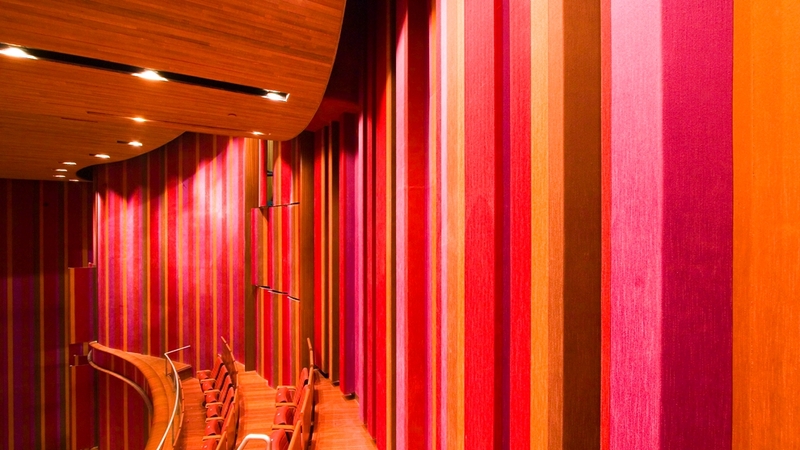 Apart from the three big professional theatres and the small theatre, inside the giant NCPA building there is a spacious area of public spaces, where NCPA displays its splendor and vigor to the visitors. 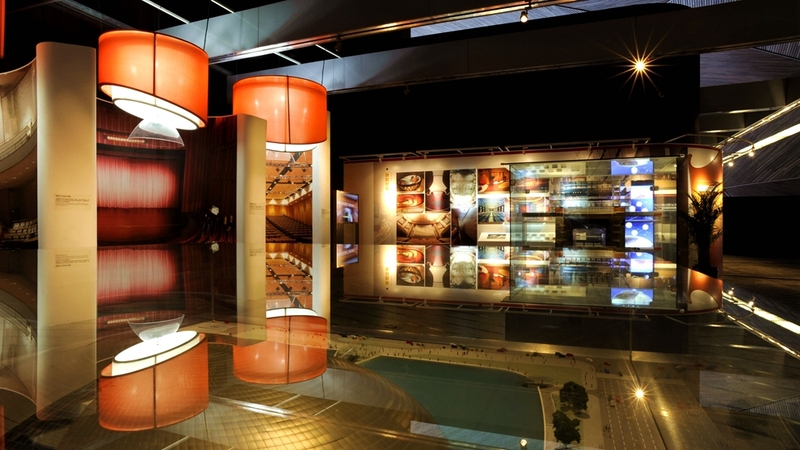 Those who come here find themselves in an exquisitely and uniquely designed architecture with enriched artistic displays, visit arts exhibition in various themes, and enjoy all kinds of art performance. 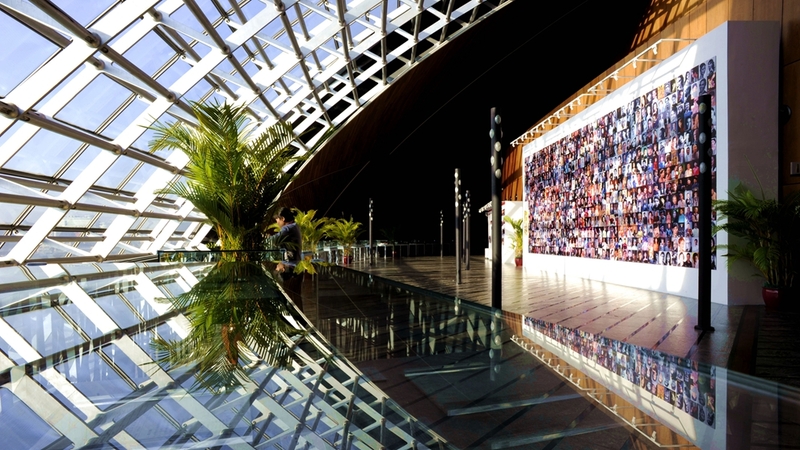 The Fifth Space provides the audience with the possibility of personally experiencing the glamorous power of arts. 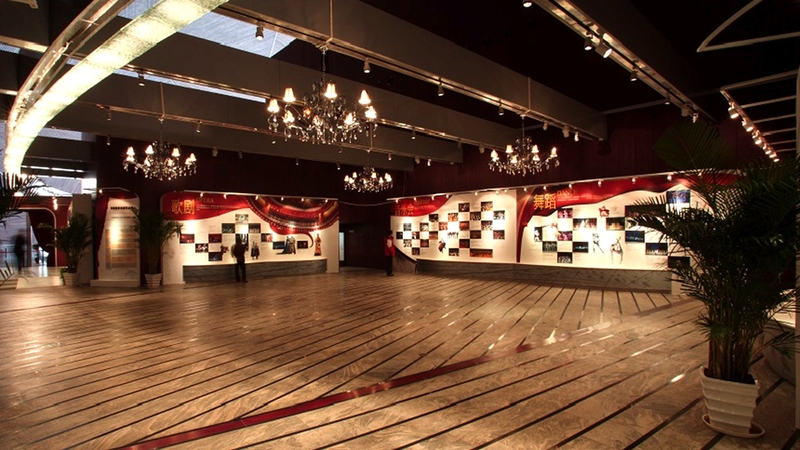 The NCPA has embraced more than four million visitors with a rich collection of 284 exhibitions covering NCPA repertoire, oil paintings, music instruments, intangible cultural heritage and more. 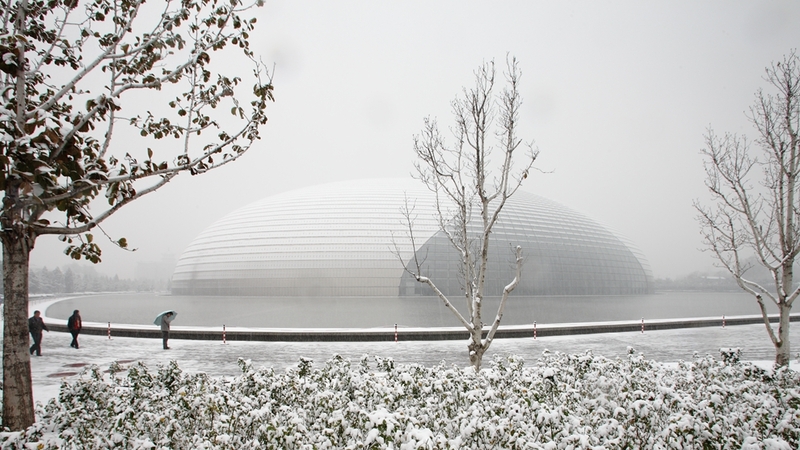 The NCPA also provides summer holiday and autumn themed events for general public to experience more. 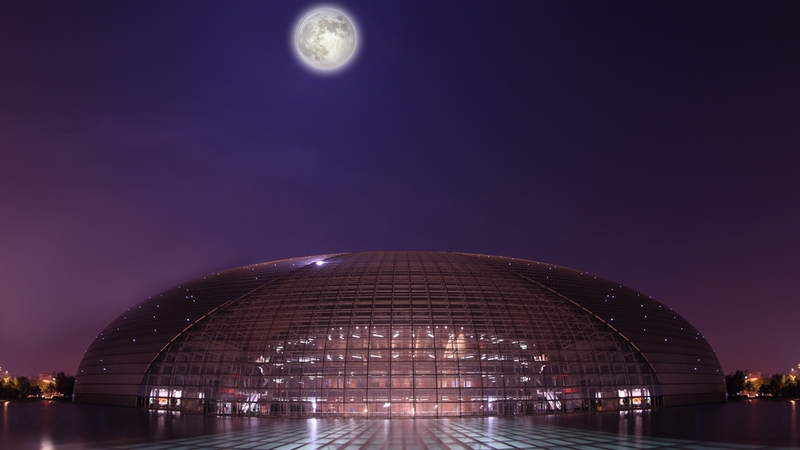 The NCPA provides you free performance day and night. 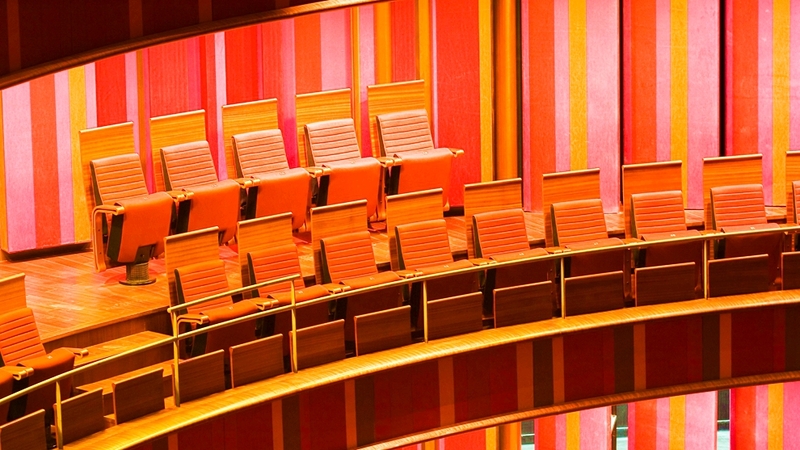 Whenever you see a sunrise or sunset, the curtain here never falls down. 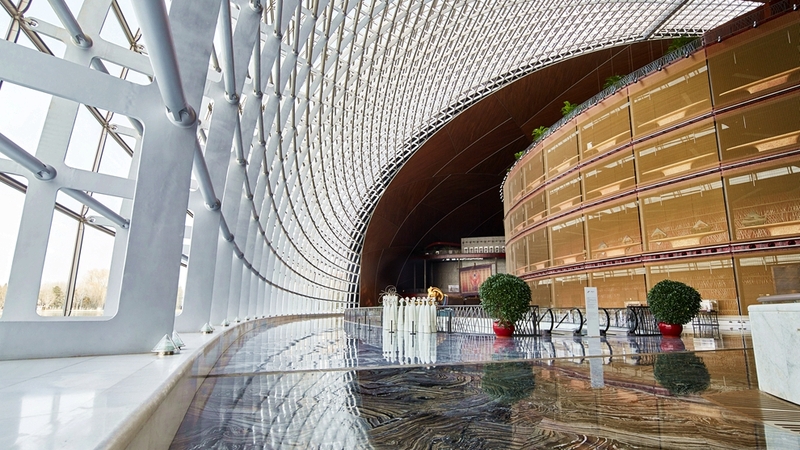 The NCPA boundlessly explores international and domestic arts collection, including Chinese paintings, oil paintings, pottery, sculptures and more. 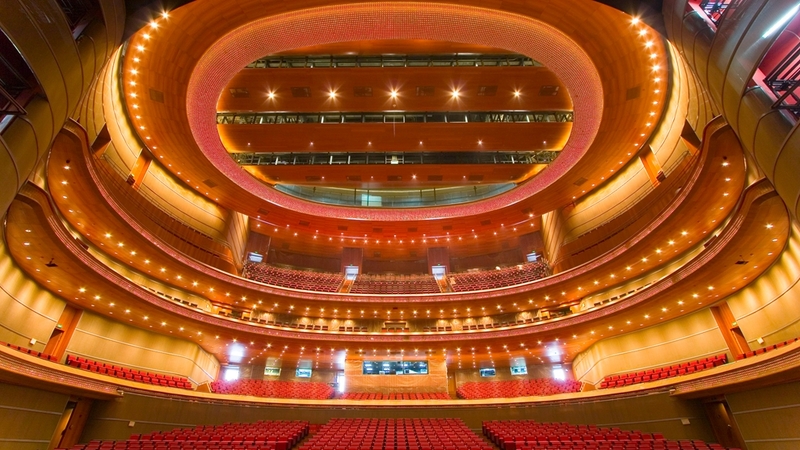 111Dedicated to the staging of epic operas, ballets and dance dramas, the golden Opera House is considered the centerpiece of the NCPA. 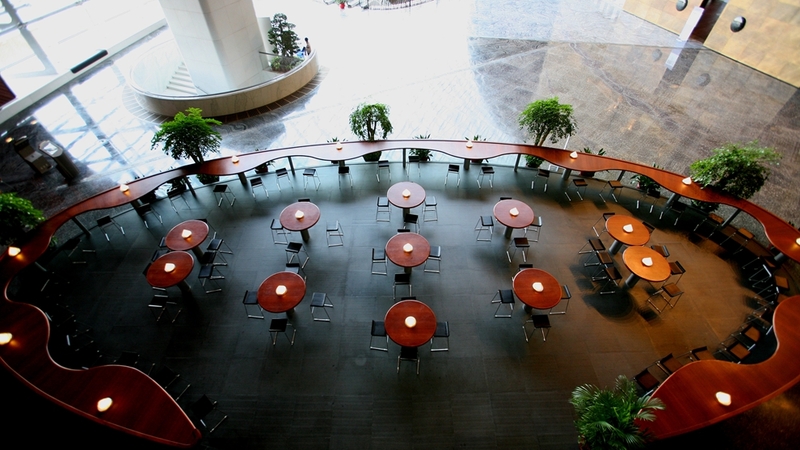 Its main tone is golden color, which looks glamorous and splendid. 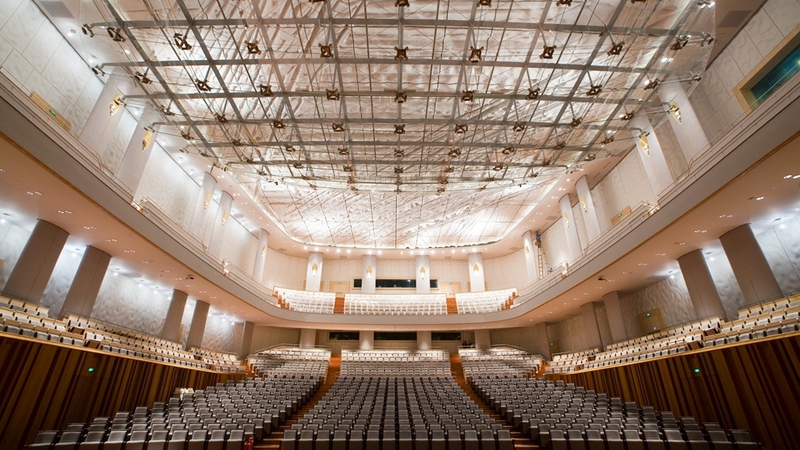 In the auditorium are the stalls and three higher levels of balconies, which can seat an audience of 2,207, including the venue of SRO. 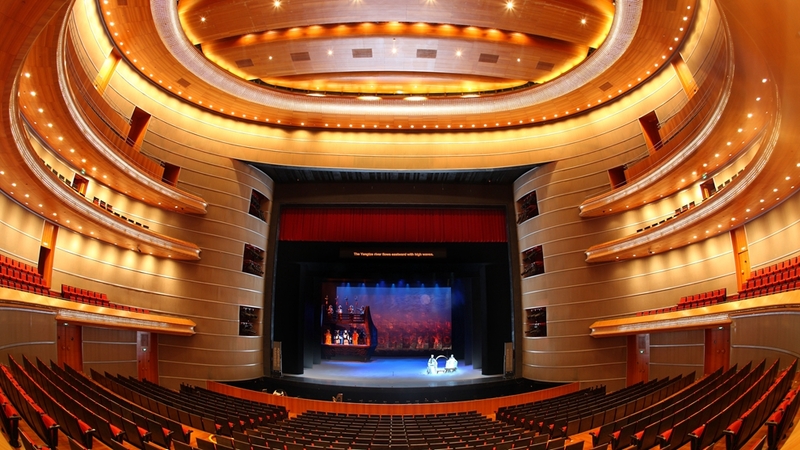 It is equipped with a modern stage that can be moved up/down/backward/forward or rotated, a ballet stage that can slant, and a rising orchestra pit for the triple winds orchestra. 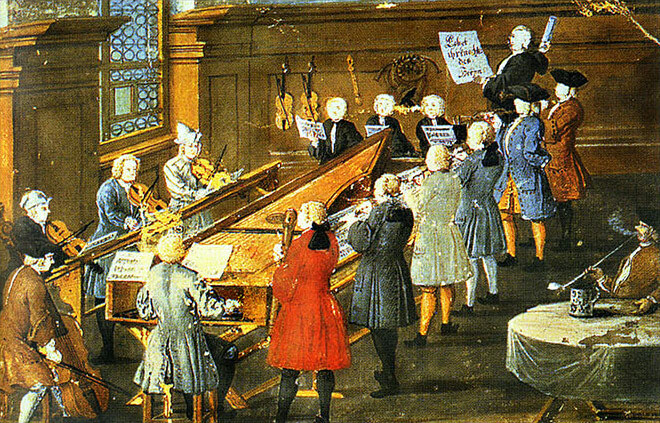 All the cutting-edge staging mechanism provides artists with enormous possibilities of creative performance. 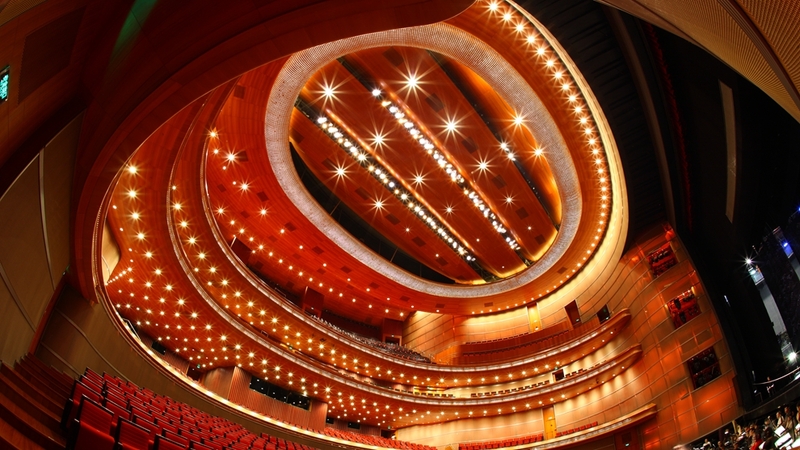 222Dedicated to the staging of epic operas, ballets and dance dramas, the golden Opera House is considered the centerpiece of the NCPA. 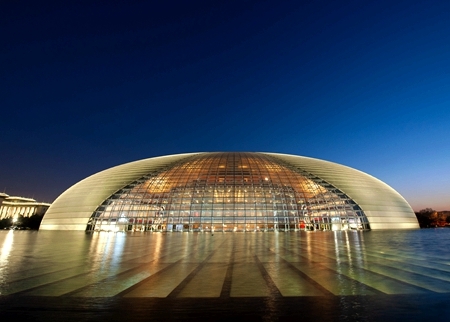 Its main tone is golden color, which looks glamorous and splendid. 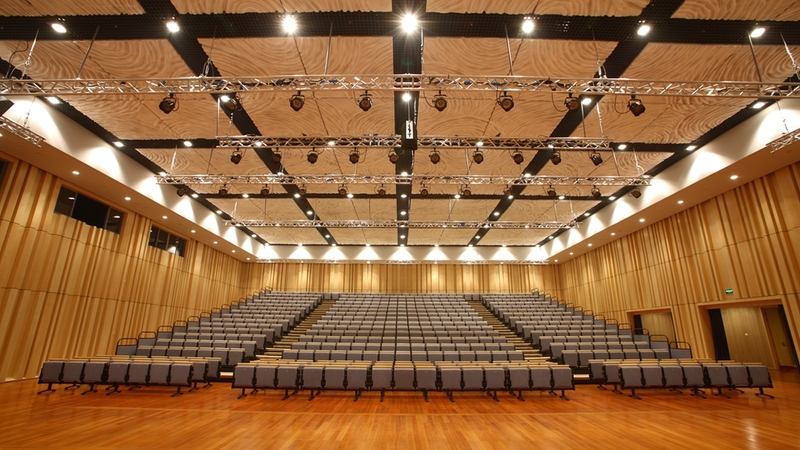 In the auditorium are the stalls and three higher levels of balconies, which can seat an audience of 2,207, including the venue of SRO. 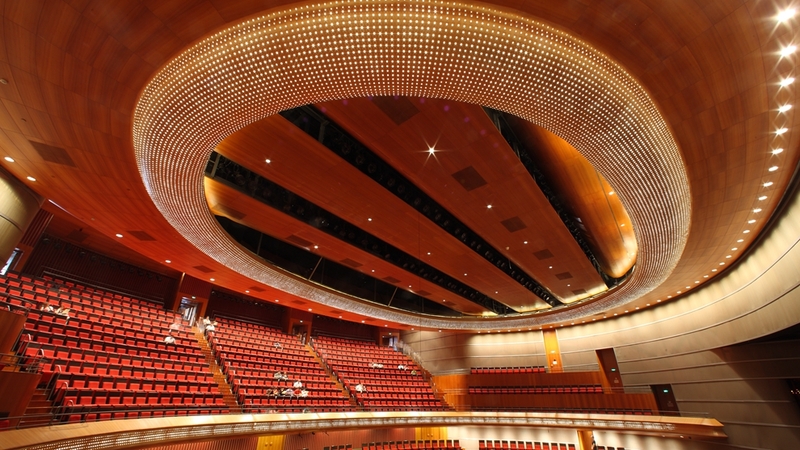 It is equipped with a modern stage that can be moved up/down/backward/forward or rotated, a ballet stage that can slant, and a rising orchestra pit for the triple winds orchestra. 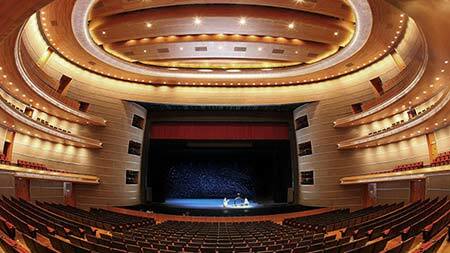 All the cutting-edge staging mechanism provides artists with enormous possibilities of creative performance.